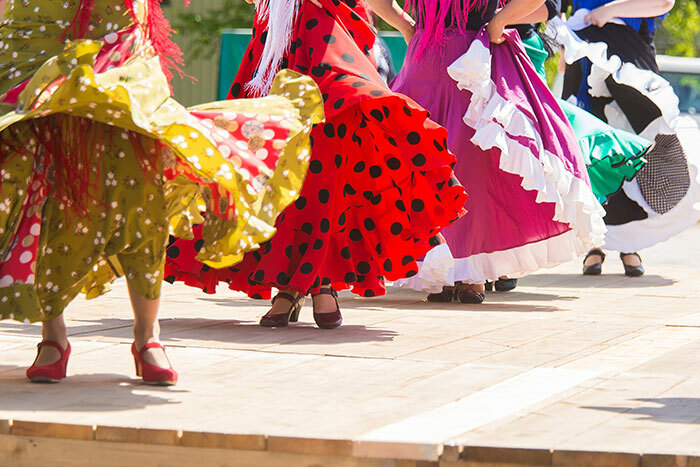 The brightly coloured costumes, the strumming of the guitar, the rhythmic hand claps – flamenco is a hypnotising Spanish tradition which simply has to be experienced on a visit to this vibrant region. Dating back nearly 200 years, this expressive form of dance has continued to develop over time; there are now more than 30 different flamenco chants that are performed across Spain. While there are endless places to listen to the dramatic melodies and watch the swirling black and red skirt (or perhaps even try if for yourself! ), here we’ve picked three of our favourites. Located just two minutes from Murillo Gardens, this tablao (flamenco venue) is one of the most famous in Seville. Experience a pure Andalucian show here; staged in a small, intimate theatre which can seat around 60 people, the musicians and performers are mesmerising. Our Experts recommend taking a seat in the second row for the best views. Tuck into local cuisine on an open patio while being entertained by vibrantly dressed dancers at El Cardenal, located in the historical Jewish Quarter. The energy of the dancers is entrancing; dressed in flaming red, they perform in complete unison, and the guitar playing is electrifying. One of the world’s leading flamenco clubs, this is also one of the oldest in Spain. Boasting views over Alhambra Palace, head to this authentic flamenco club on a Thursday night and don’t miss the flavour-packed sangria. 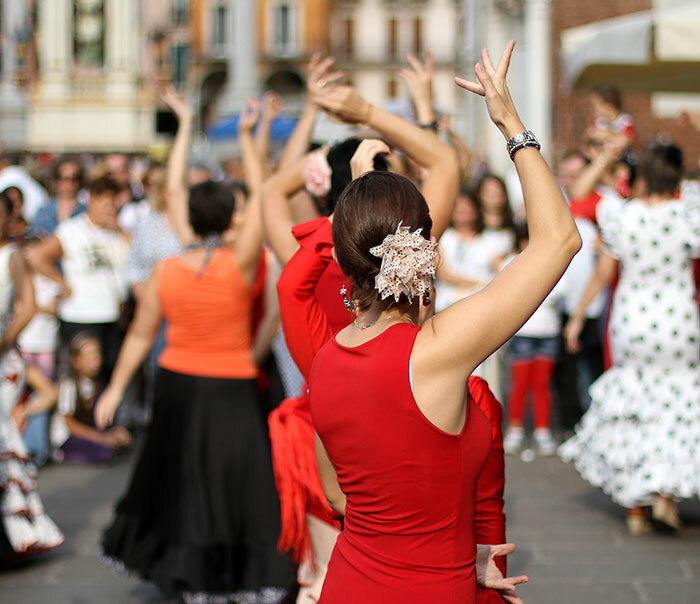 Book your Spain holiday today and chat to our Travel Butler concierge team about seeing a flamenco show or arranging dance lessons.